Week eleven of the National Football League is officially in the books. And with that, fantasy football fans are still looking towards the waiver wire to see if their team can be improved in any way. With bye weeks in full swing some fantasy footballers will scour the wire to ensure they have a full complement of players to choose from for their starting roster in week 12 — even at the cost of cutting someone on bye that is roster worthy. Keep a close eye on both players claimed and cut on Wednesday morning. Before we get to this week’s potential waiver wire pickups, it’s important to note that I WOULD spend my first waiver priority on a player from the list below. Also, players listed below are in no particular order. So far this year Wendell has been relegated to 3rd string running back behind Sproles and Ryan Mathews, in week 12 he may finally get the chance to be the featured back with the 2 previously mentioned backs both having injuries. 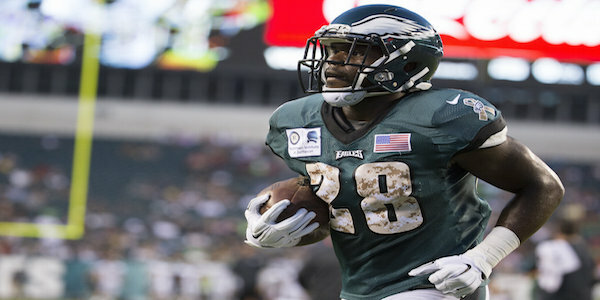 Back in week 3 Smallwood ran for 79 yards and a TD on only 17 carries, in week 11 after being forced into the number 1 role he gained a total of 79 yards, all this against a tough Seahawks defense. Smallwood is currently owned in just 6% of Y! Leagues but that number will jump dramatically in the coming weeks. Sproles suffered a fractured rib and Mathews spraining his right MCL. If either one of these two plays, Wendell will still more than likely be the featured back with the team wanting to take it safe with its two best playmakers. Aside from the week 2 and week 6 anomalies Tyler Boyd hadn’t went over 40 yards receiving until the Week 11 stunner. With AJ Green going down on the first play of the game, Boyd proceeded to have the best game of his career, with 54 yards and his first career TD. The loss of AJ surely helped him, seeing the most targets he has seen this season. With Tyler Eifert somehow not getting anything going Boyd was the most reliable target on Sunday. Boyd is owned in only 7% of Y! 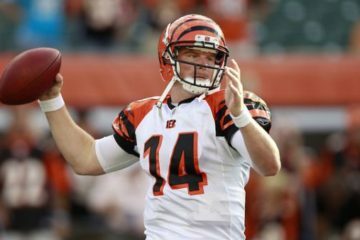 Leagues, but come Wednesday that may be up in the 20s, or even 30s if some AJ Green owners panic and decide to pick up the number 1 receiver in the Bengals offense moving forward. Looking ahead the Bengals have a pretty easy pass defense schedule coming up, Boyd could be looking at a weekly 8-10 targets. Coming into the season Ivory was expected to lead the RBBC that Jaguars had put into plan, after missing the first 2 weeks the backfield became pretty much a 50-50 split with him and Yeldon. After Yeldon went down in the 2nd quarter Ivory totaled 114 yards, all without a touchdown. If TJ is forced to miss any time, Ivory could become a forced RB2, at least for one week. Although he does only have a 3.6 YPC for the season, that is in a very small sample size of only 84 carries, against the Bills he could see up to 20 carries. Chris Ivory is owned in almost half of yahoo leagues at 49%, but that should be about 60-65% by game time Sunday. The Bills currently rank 20th in the NFL in rushing defense, so look for Ivory to finally show that fiery passion for running the ball that the Jaguars hoped he would bring when signed in the offseason. Given that CJ has seen more total targets than teammate DeAndre Hopkins in the past 5 weeks, its safe to assume that this guys role will be safe from week to week. Coming off a season high 10 target he will look to continue that come Sunday. Also, out of all tight ends he ranks 3rd in targets during that span, ahead of elite tight end plays such as Gronk and Travis Kelce. Brock Osweiler has been everything that the Broncos were hoping for when they didn’t sign him during the summer. Not being able to get the ball downfield, at all, is great news for CJ because he is consistently being used as the check down and somehow has become a pretty decent red zone target in the meantime. Owned in only 23% of Y! 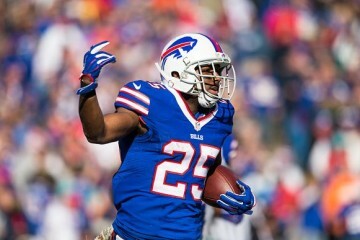 Leagues, pick this guy up in an easy matchup with the Chargers, odds are he will be a top ten fantasy play this week. 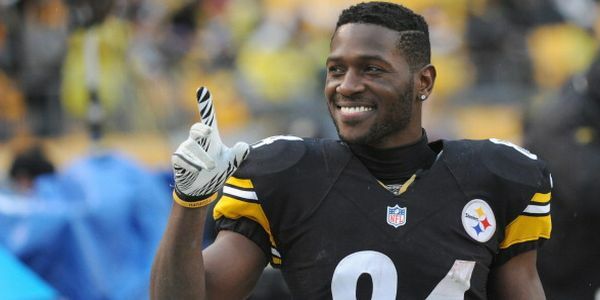 Article written for TheFantasyFix.com by @Generic_Eric24.